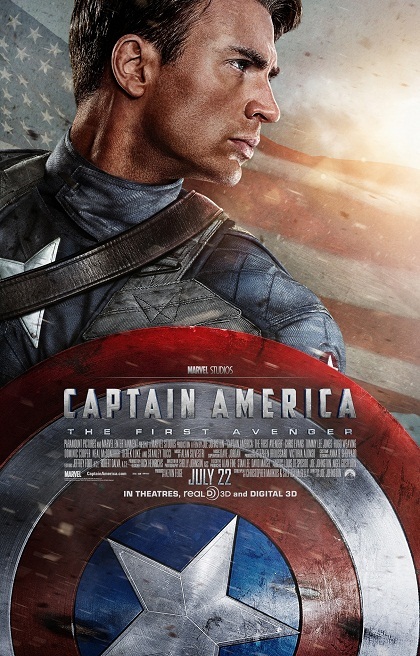 Marvel Studios has finally come out with a movie for their WWII Super Hero, Captain America. Not only was he great during wartime for to keep up morale, but he was one of Marvel’s most famous superheroes. 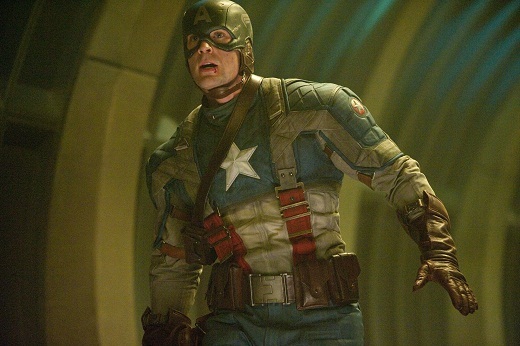 Steve Rogers (Chris Evans) is a very patriotic man. All he wants to do is serve his country. Unfortunately, he’s asthmatic with several other ailments and about 90 pounds soaking wet. Because of this, he keeps getting rejected (4F) from joining the army. On his 5th attempt (falsifying his information every time), he was encountered by a scientist, Dr. Erskine (Stanley Tucci). Erskine knows that Rogers is a good person, but can’t pass the physical, so he invites him to join a special research project. After reviewing all the people in the project, he was deemed the best candidate. Dr. Erskine with the help of Howard Stark inject him with serum into all his muscles which makes him expand to a Super-strong human. Captain America is born! Although, he isn’t thrown into the battlefront immediately. He has to prove to everyone that he is totally capable to stand his own. On the other side, a Nazi leader, Johann Schmidt (Hugo Weaving) in charge of the weapons bases has his own super human strength. Schmidt found a cosmic cube in order to power their amazing weapons. He forms Hydra, which is basically a terrorist organization formed from the Nazis. 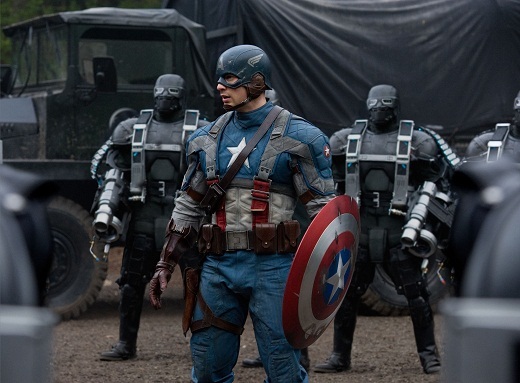 He has several followers, and becomes Captain America’s biggest foe. As with most Marvel Movies: Thor, Iron Man 1 & 2, The Incredible Hulk; you would expect an extra scene after the credits. Well, surprisingly, there isn’t anything. 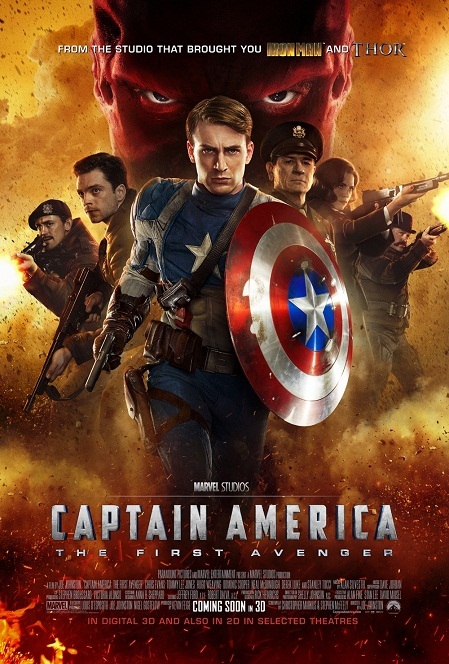 If you wait around after the credits, like everyone in the theater did, you’ll see “Captain America will return in The Avengers”. That is it! Everyone groaned after that. But, that may just be because it was a pre-screening, so I would stick around anyway, just to make sure there’s nothing after the credits. If there is, please comment below and let me know. The 3D is really unnecessary for this movie, it really adds nothing. Except for one scene where he threw his shield at the camera. Besides that, it’s a great movie. I love the time period, It feels like you’re in the US during the 40s. 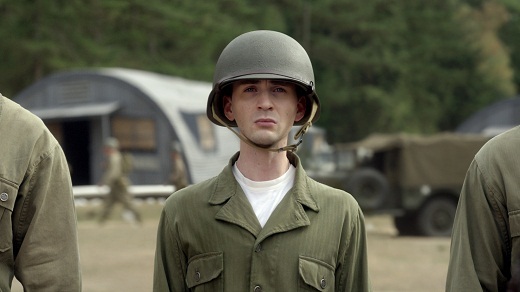 Yeah, the Captain America costume can be a little corny looking, but the story really works well. 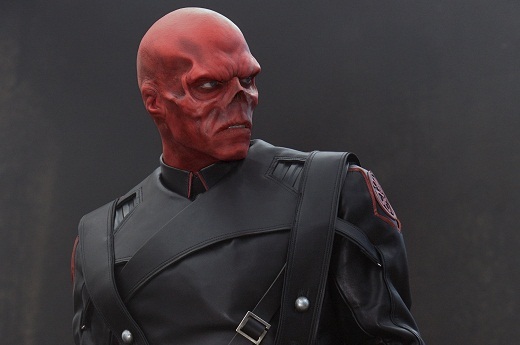 Having going into the movie knowing little about Captain America, I found myself really liking this character. This is a very well done comic book movie, and you can tell its bridging the gap to the upcoming “Avengers” movie next year.